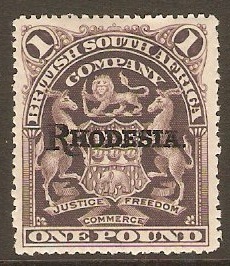 Home :: Rhodesia :: Rhodesia 1892-1924 :: Rhodesia 1909 £1 Grey-purple. SG113. 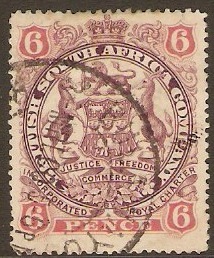 Mounted mint 1909 £1 Grey-purple. SG113.